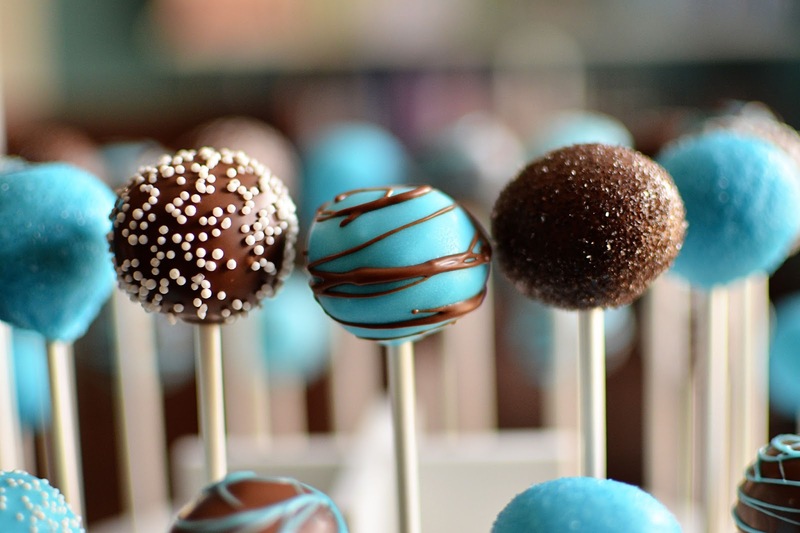 I fancy cake pops. Not really to consume, but to produce. My heart has always belonged to deep fried anything and sweets simply don't turn my head. Despite this, I find making cake pops to be very therapeutic so I keep keepin' on. Much to my coworkers' delight. I want you to experience the same soothing calm waters this task can render. 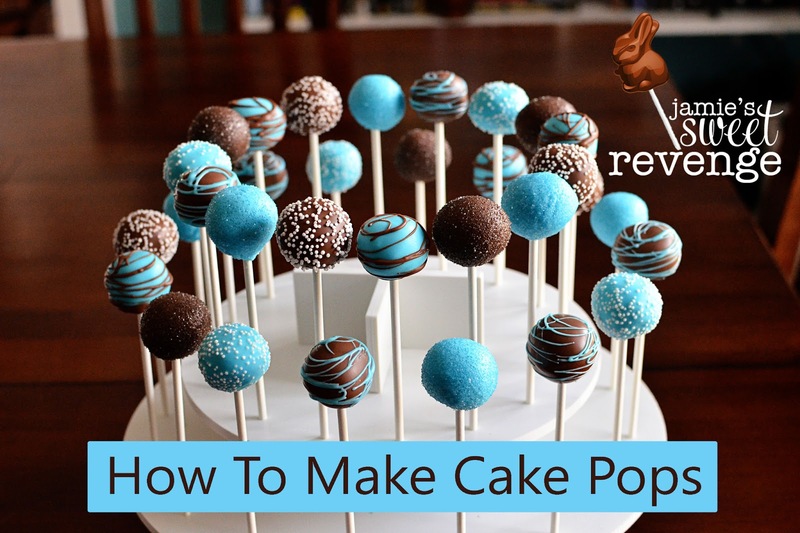 Here's a recipe for cake pop success that you can achieve in just 3-4 tries. I'm kidding. Not really. 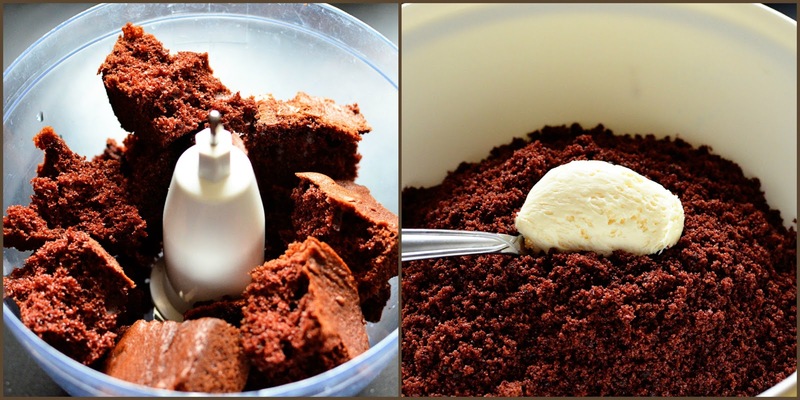 1 box cake mix. Any flavor. Follow directions for 13x9 pan. Buy Duncan Hines because you want to have nice things. Candy melts. 16 oz. Get Make-n-Mold candy melts from Hobby Lobby. Wilton also makes melts sold at Wal-Mart, but they're a smidge thick and ornery. I DO use them in a pinch. Lollipop sticks. 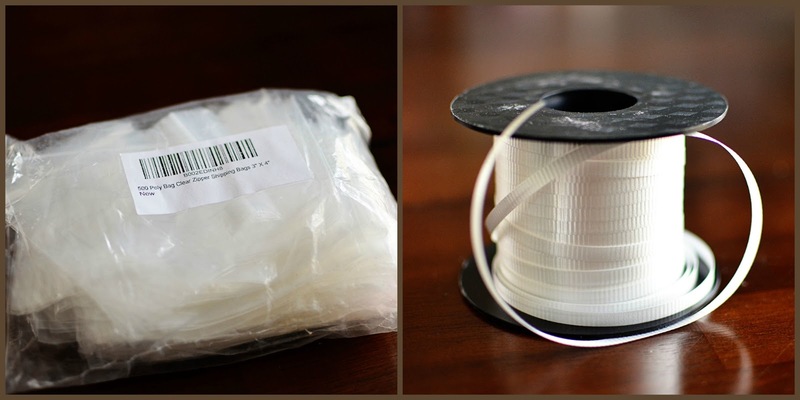 Get these at craft supplies stores or Wal-Mart. Or spend a month knockin' out some Blow Pops and recycle. Styrofoam block. Take the sticks above and "pre-drill" holes in the block so you can dry your pops. Bake the cake and cool it completely. You can do this anytime and simply freeze the cake for later. One quarter of a cake will make approximately 12 pops. Other segments can go in the freezer for another day. Or in your belly. Whatever. Take the cooled cake and crumble it into a bowl. I use a food processor, but your grubby hands or the grubby hands of your offspring will work well. Mix the crumbled cake with the frosting with a large spoon. I use about 1 egg-sized dollop for each quarter of a cake. 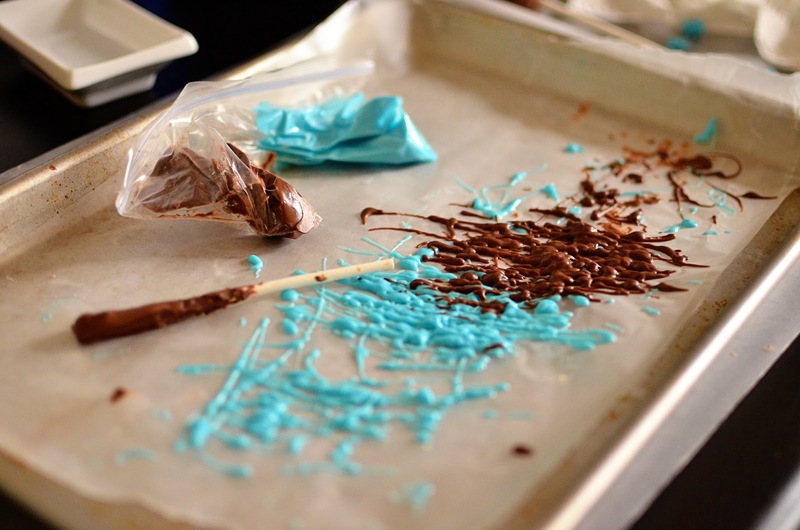 Always add frosting a bit at a time, because if it gets too sticky, it won't shape up or stay on a stick. The amount of frosting you need will vary on the moistness of the cake. Moist is the worst word ever. 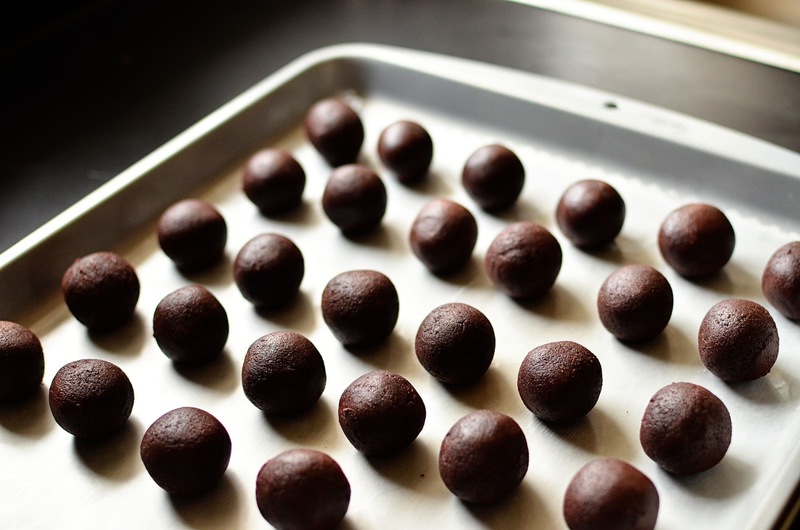 Roll the cake compound into quarter-sized balls and place on a baking sheet. Don't forget to put down wax paper. Why should we wash things if we don't have to? I place the balls in the freezer for 10-15 minutes. Then I move them to the fridge for 5-10 minutes. If you dip a pop that's too cold into really hot candy melts, then the melts will crack once they're dry. However, if you dip a pop that's not firm, then it will fall off the stick. They're so dramatic. Melt your candy by following the instructions on the package. 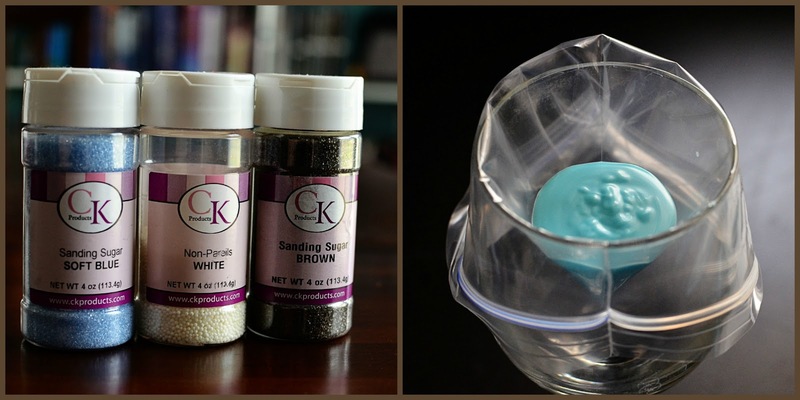 Use a plastic or ceramic bowl that's deep enough for you to dip into. I use 1 cup plastic bowls which can normally cover 12-15 pops. I never use "high" on my microwave because if melts get too hot then they burn and die a tragic death. There's no CPR that will bring them back. CHEMISTRY DANCE BREAK: I use candy melts instead of chocolate because the melting point of chocolate is 86° - 90° F which is lower than your hot body. So when you go to decorate and manhandle the pops, they will get sticky again. Sticky = bad. 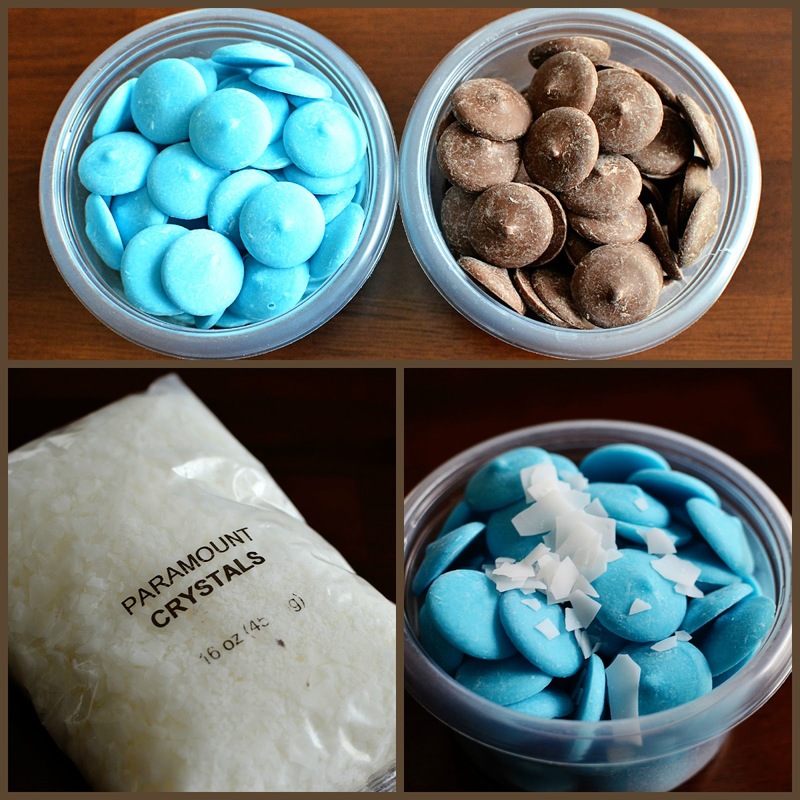 I also use paramount crystals as a thinning agent for the melts. If you don't have this weirdo ingredient in your pantry, simply use shortening or vegetable oil right before the candy is 100% melted. Use one teaspoon for each cup of melts. Note: Any HINT of water will ruin candy melts. Don't spit. Dip the tip of your stick in the melted candy and insert it into your balls about halfway. That sounds sketchy, but it's not. Carefully insert the cake ball into the melted candy. Go at an angle and rotate until covered. Gently tap the stick on the rim of your bowl so excess candy coating will drop off. Rotate while you do this. If you treat it like a gavel, then the ball will fall off. Never a good thing. If you accidentally don't cover all the cake at the base of the stick then it will leave a hole. This creates a cake pop that will later poop cake. For real. Place your gorgeous dipped pop in the styrofoam block so it can settle. Your options for decorating are only as limited as your brain and wallet. When you use sprinkles, simply shake them on right before placing the pop in the styrofoam. You can also do some easy peasy design with melted chocolate dumped in a sandwich bag. Nip a tiny corner of the bag with scissors and then take a dry pop and drizzle until you just can't stand it. Unless I'm serving the pops immediately, I wrap each one in a plastic bag and tie with ribbon. I'm fiscally conservative, so I buy zipper jewelry bags and then just cut off the zipper. My Dad would be proud. Here are a few more tips to make your experience a grand one. 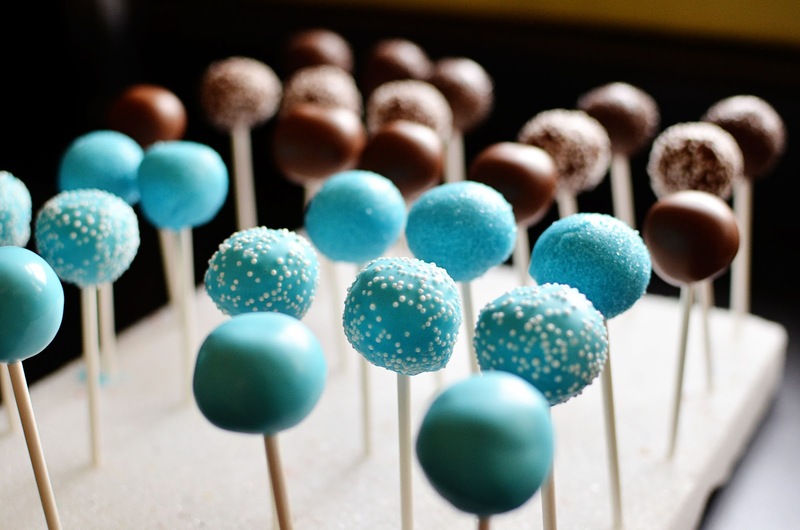 Plan for a few cake pops that won't work out. I still do with every recipe. Cake pops store at room temp in an airtight container. They will stay fresh for at least 5-7 days. Plan for 1 hour to mix, bake and cool the cake. Crumbling cake, mixing with icing and shaping them takes 30-60 minutes. Dipping, drying, decorating and wrapping in bag with ribbon takes another 1+ hour. It's not a sprint. Most importantly, wear an apron and put down wax paper...everywhere. It's a messy gig. If you have questions, don't hesitate to comment on this post and I will reply. You can also email me at jamiesrabbits@gmail.com and I will reply. Note: I sometimes reply in my head before replying with the typing and such. Patience is a virtue. 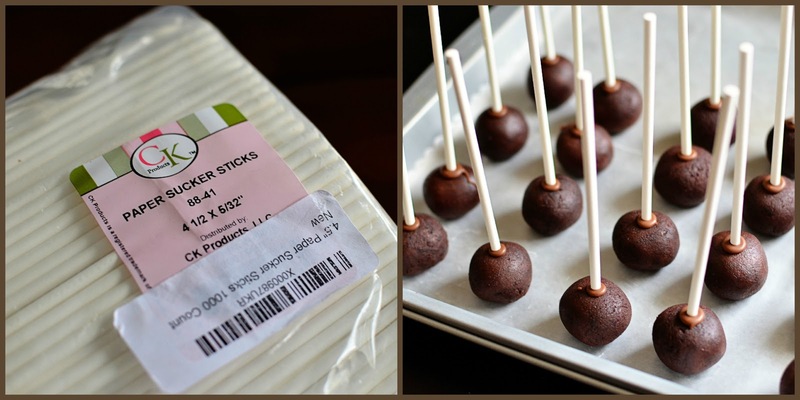 You can place a cake pop order with me by checking out my online store: Jamie's Sweet Revenge. Follow me on Instagram and Twitter and Facebook for regular updates.